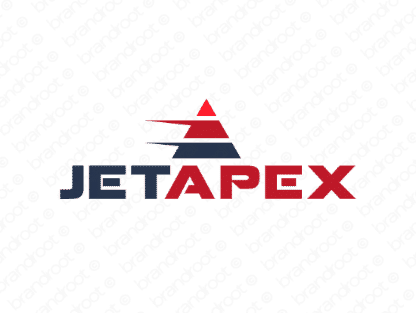 Brand jetapex is for sale on Brandroot.com! Stunning and audacious, this combination of "jet" and "apex" strives for nothing less than peak performance. Jetapex embodies speed, agility and the height of success, a great match for sporting and fitness brands or advanced engineering and technology companies. You will have full ownership and rights to Jetapex.com. One of our professional Brandroot representatives will contact you and walk you through the entire transfer process.